Buy The Big Lap Series Online and get unlimited Streaming & Downloading for life or buy the DVD or Bluray edition and get the Online Edition included for FREE. 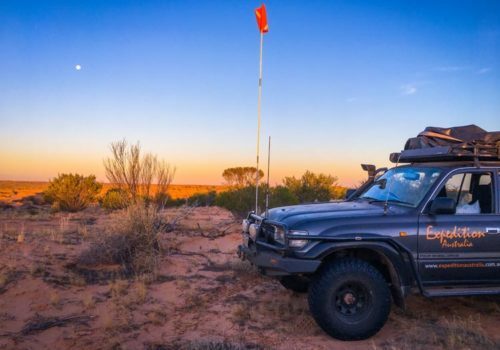 If you’ve ever dreamed of a big road trip around Australia then strap yourself in and come along with us on our epic adventure. We sold up, packed up and hit the road on a mission to get to every state and territory and all of the ‘extremes’ of the continent . . . north, south, east, west, the centre and even the highest point, Mt Kosciuszko. 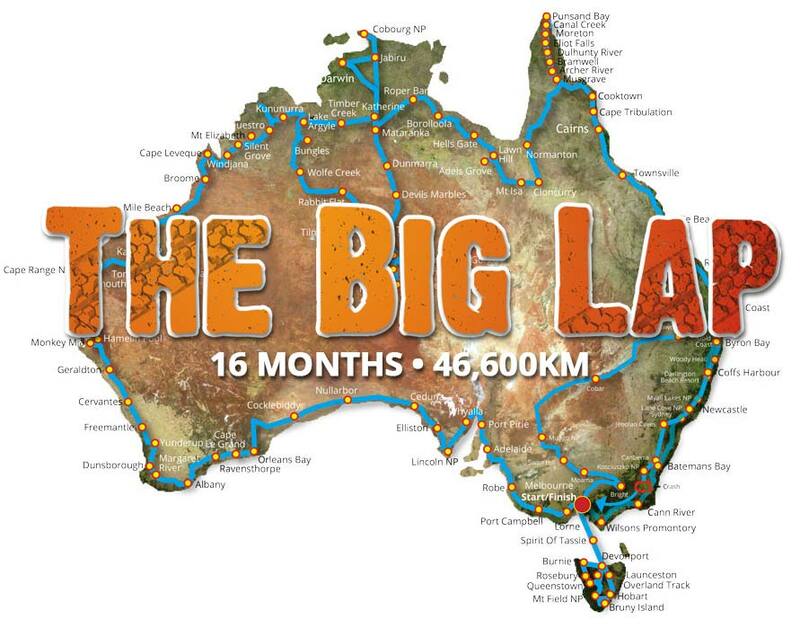 16 months and 46,600 kilometres later and we’ve experienced the best that this amazing country has to offer and captured it all on film to share with you now in The Big Lap Series. The highs and the lows, the laughs and the tears, the breakdowns, rollovers, wildlife, epic scenery, characters and incredible places are all here in The Big Lap Series. Join us . . . Steve, Jen, Savanna & Sara on the adventure that has inspired thousands to chase their own travel dreams and will inspire you as well. 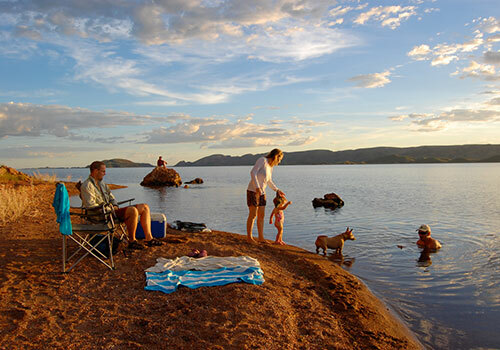 Featuring: The Kimberley, Cape York, The Red Centre, Karijini, Snowy Mountains, Tassie High Country and a whole lot more . . . The film series will be unlocked for Streaming + Downloading immediately after your payment is completed. We'll send you an email with your login details and you can access the film in our Members Hub. Every state. Every territory. Every extreme. "Just got it today. Stopped watching to have dinner then straight back into it. Just awesome, well done guys." "Just finished watching all 3 DVDs and wow! What a great watch it was but makes us want to leave tomorrow on our big lap!" 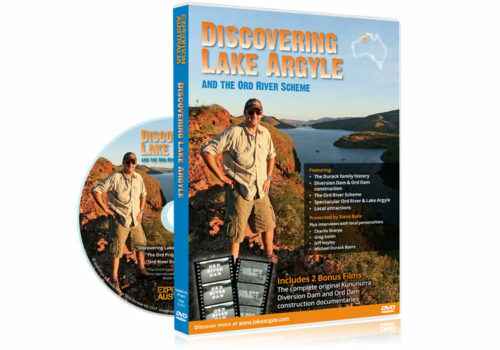 "It's the best 4WD camping DVD out, I have watched my copy 3 times and love it, very inspirational." "There are plenty of travel shows on TV but none like The Big Lap." "Finished watching at 2am this morning, it's so addictive! We have so many 4WD DVD's but nothing like The Big Lap. What an epic journey guys!" "I think you guys are amazing just tackling the journey with the rugrats. Well done Jen and Steve." 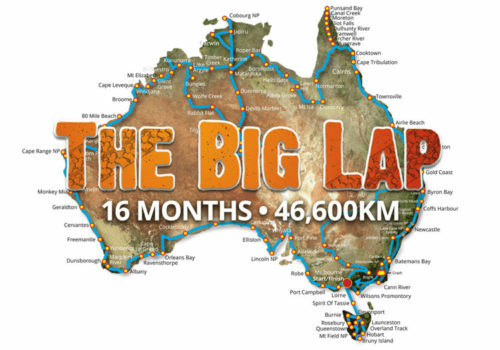 "The Big Lap is a priceless insight into the real experience of travelling around Australia by road that will inspire you to make your own travel dreams a reality." "Bought this for Hubby for his birthday. WARNING: it's addictive!!!!" "We love your DVDs too! Our 4-year-old's fave...even before the Wiggles!" Just finished watching this with hubby. We loved every moment, except it ending! Awesome job guys, we both feel like surrogate aunt and uncle to your gorgeous girls, watching them grow and experience such a wonderful trip! Can't wait for another movie from you all. Seriously what a wonderful DVD series. I enjoyed every second of it and I am about to watch it again. It has been such an inspiration as my dream is to also to do a lap of the land of OZ. Thanks for sharing the memories, you have a wonderful family.